An important miracle in Jesus' ministry occurred when He fed a crowd of thousands, including 5,000 men, with just five loaves of bread and two fish. 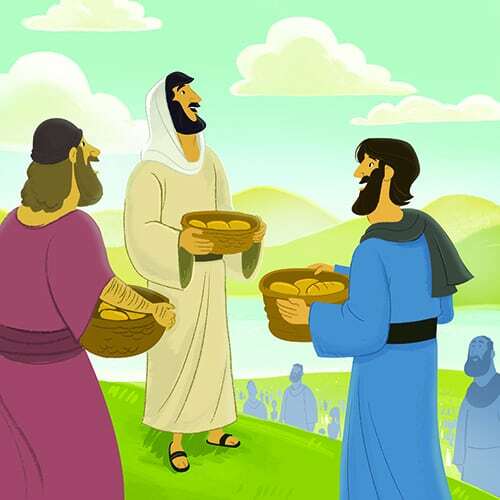 These Bible lesson activities for children showcase this miracle and demonstrate that Jesus truly was—and is—God's Son! 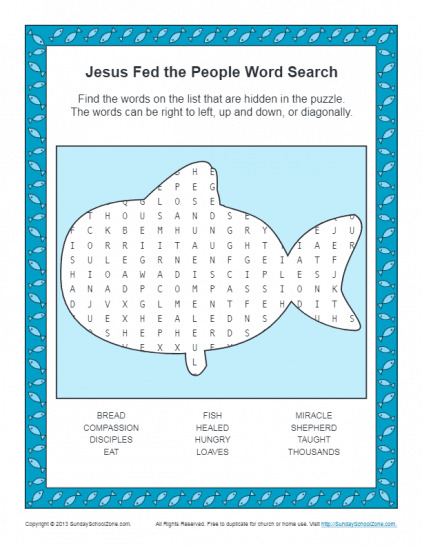 Children will thoroughly enjoy working this word search puzzle, a puzzle that highlights 12 elements of Jesus’ miracle of feeding the crowd that included 5,000 men. 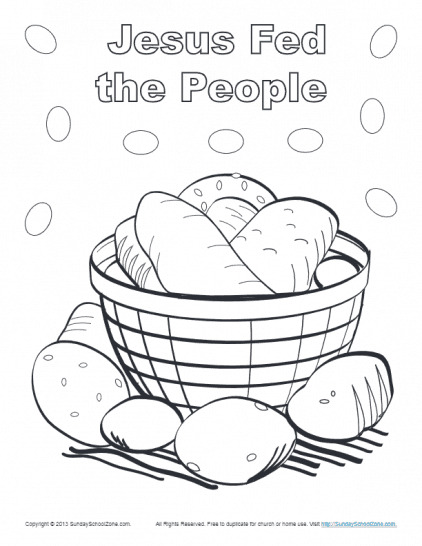 When your preschoolers and young children color the basket of bread shown on this coloring page, their activity will help them learn that Jesus performed a miracle to feed the thousands of people who had listened to Him teach. How can a crowd of thousands be fed with one person’s lunch? Jesus performed a miracle and made it happen. This match game is a fun way for children and preschoolers to learn what happened and what it proved. This is a wonderful Bible activity! 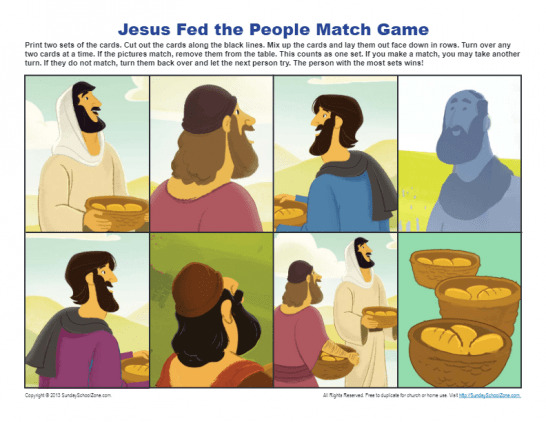 This Bible activity for children is a jigsaw puzzle that shows Jesus and His disciples as they were about to distribute food to a huge crowd of people. 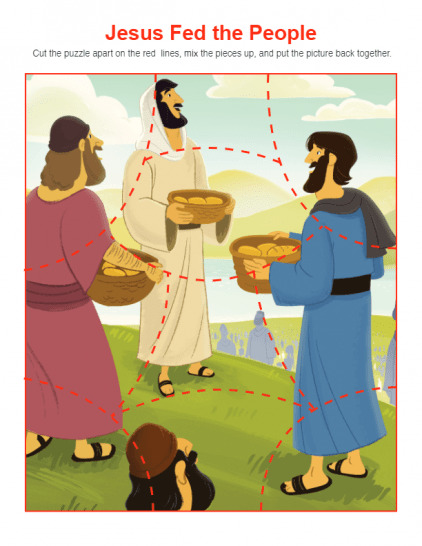 The miracle of feeding the large crowd showed that Jesus was God, and this puzzle will give teachers and parents a great chance to remind their children of that fact.